Conditions are not yet ripe for Israel and the Palestinians to negotiate a peace agreement, but in the meantime, the Israeli government should adopt pragmatic measures to ensure that final-status talks will be possible in the future, says Amnon Reshef, the founder of Commanders for Israel’s Security, a non-partisan Israeli organization that promotes a two-state solution. Peace is still a long way off, he cautioned, but Israel can improve the atmosphere by rejecting policies that perpetuate the territorial status quo and by taking concrete steps to restore Palestinian confidence in Israel’s commitment to a peaceful resolution of the Arab-Israeli conflict. Policies rooted in the status quo, he warned, engender dangerous illusions and could have disastrous consequences, such as the formation of a binational state in Israel. 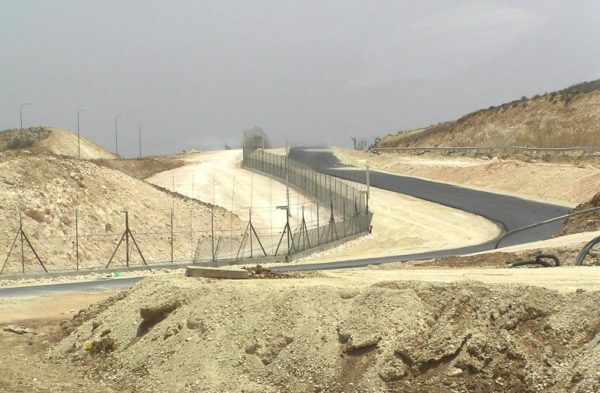 Reshef urged Israel to finish the security fence, which passes along and juts into the West Bank. Israel started building it during the first years of the second Palestinian uprising, which claimed the lives of more than 1,000 Israelis. Having finished 60 percent of it, Israel has stopped construction of it due to pressure from far right-wing Israeli ministers who want to build yet more settlements in the West Bank. Though wary of some aspects of the 2002 Arab peace initiative — which calls for a complete Israeli withdrawal from the occupied territories in exchange for peace and normalization with Arab League states — Reshef advised Israel to accept it with reservations. He called on Netanyahu to hew to his 2009 formula of “two states for two peoples” so that Israel can continue to be a Jewish democratic state. More than half of Israeli Jews support the notion of Palestinian statehood, he noted, but only 17 percent think it’s feasible. Until an accord is reached, the Israeli army should be responsible for security in the West Bank, he said. Israel should also freeze construction in settlements east of the security barrier and limit new construction in settlement blocs west of it, he went on to say. Israel should also try to improve the Palestinian economy in the West Bank and develop Palestinian neighborhoods in East Jerusalem, which the Israeli government annexed in 1967. Reshef, who has presented his detailed plan to the Palestinian Authority and the United States, formed Commanders for Israel’s Security three years ago, following the collapse of bilateral talks between Israel and the Palestinian Authority. By one estimate, 80 percent of retired Israeli army generals and former Shin Bet and Mossad officers subscribe to its program. Now 79, Reshef founded it after writing Netanyahu a “nice and polite” letter urging him to break the political impasse with the Palestinian Authority. Following the publication of his letter, 103 former generals expressed support for his views. Since then, 270 retired generals, ex-Mossad and Shin Bet officers and former policemen have endorsed his plank. Reshef is a war hero. On October 6, 1973, he was a colonel in the Israeli army, commanding the 14th Armored Brigade in the Sinai Peninsula. On that afternoon, 90,000 Egyptian troops attacked Israeli military positions along the Suez Canal, igniting the three-week Yom Kippur War. By the time reinforcements arrived, 82 of his 500 soldiers had been killed and 80 of his 85 tanks had been destroyed.